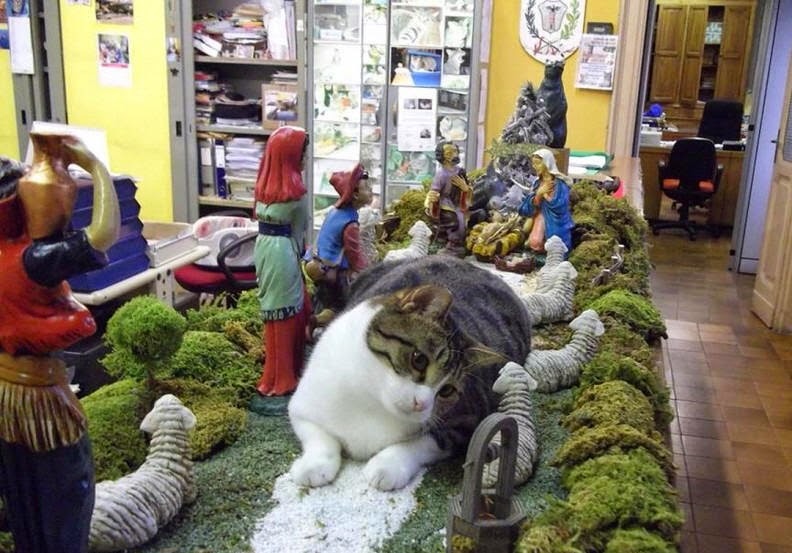 CHIAVARI – It might seem strange to some that the co-mayor of Gravellona-Lomellina, a small ­town near Milan, is a cat, but for the town’s citizens it’s normal. 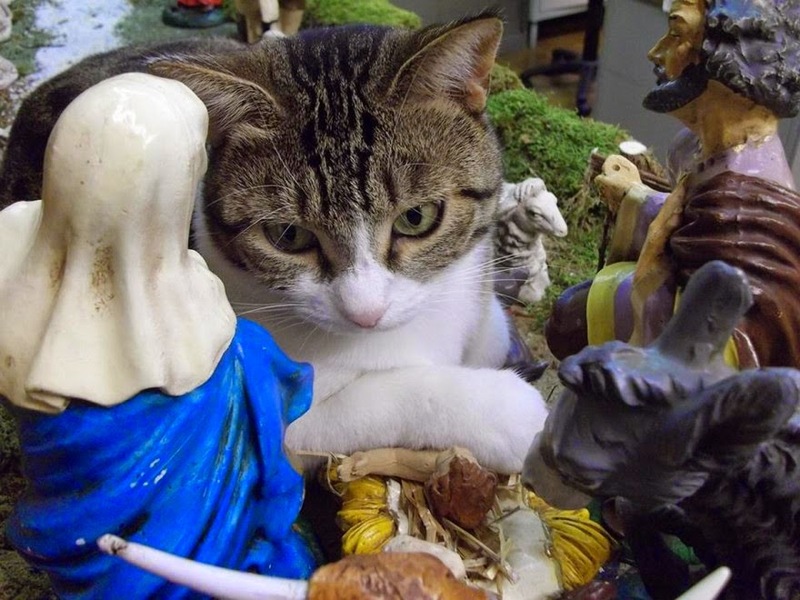 The cat-mayor’s name is Marina, and during this holiday period she likes to spend her time hanging out in the nativity manger that was set up in City Hall. 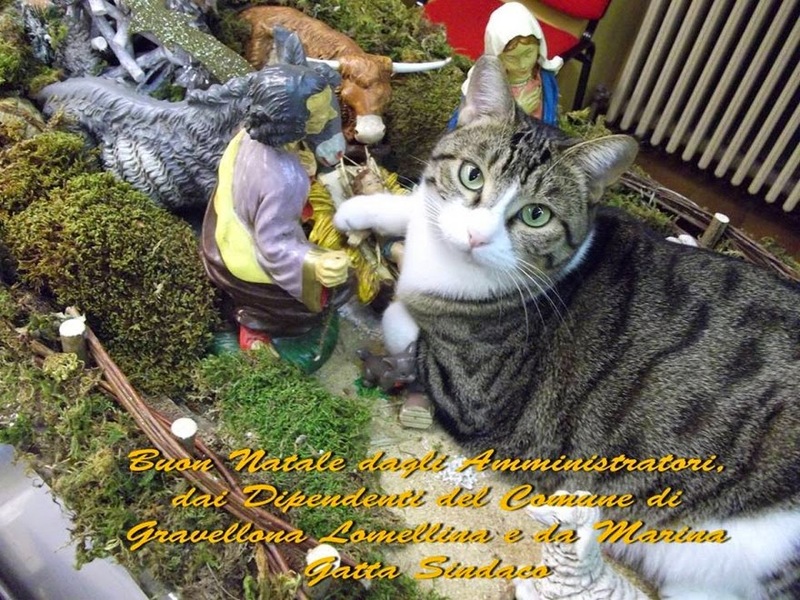 It seems the citizens of Gravellona-Lomellina have a soft spot for animals, especially cats. After Pippi, the former cat-mayor died a few months ago, they didn’t waste any time finding a replacement. And even though Pippi wasn’t around to help train Marina, she seems to have taken an enthusiastic approach to the job. But being co-mayor is more than just hanging around looking cute. 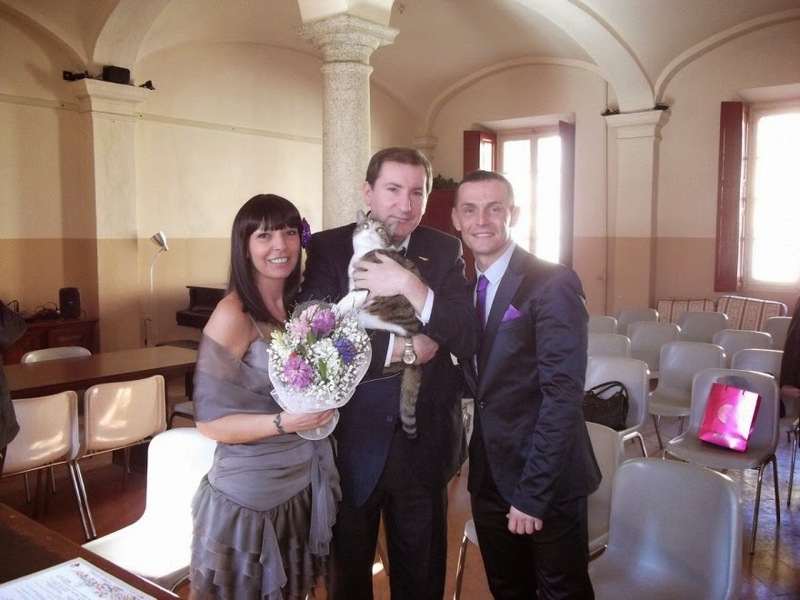 When animal lovers Laura Trolese and Alessandro Barone got married earlier this year, Marina helped co-mayor Francesco Ratti officiate at the wedding. 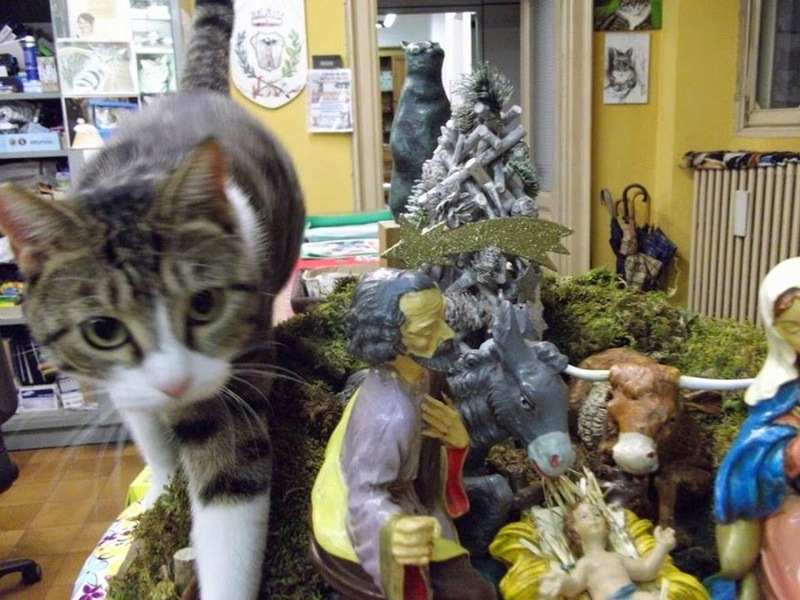 The newlyweds also donated the money that would have been spent on wedding “favors” to a cat shelter in nearby Vigevano. They also asked their wedding guests to make a small donation to the cat shelter, which everyone did. 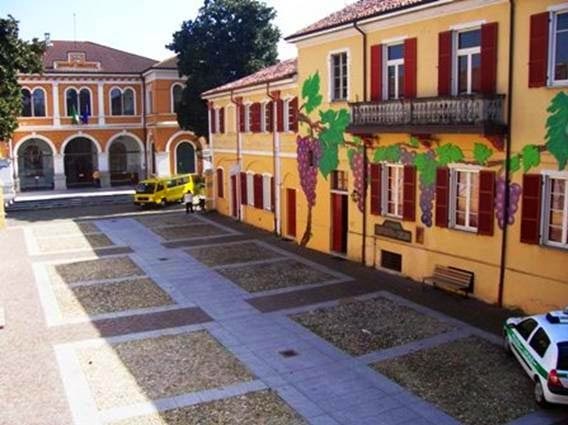 Gravellona-Lomellina is a pretty little town. 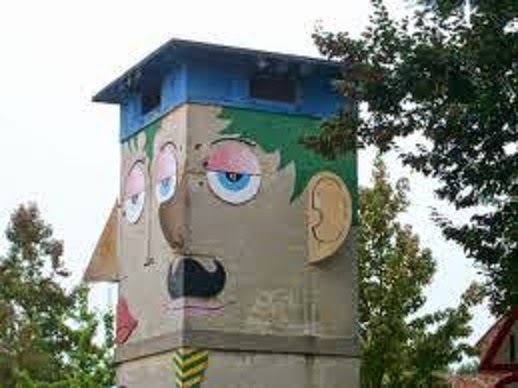 And you might say its citizens have a sense of humor. But mostly they love Marina, the one and only cat-mayor in Italy, or maybe even the world.